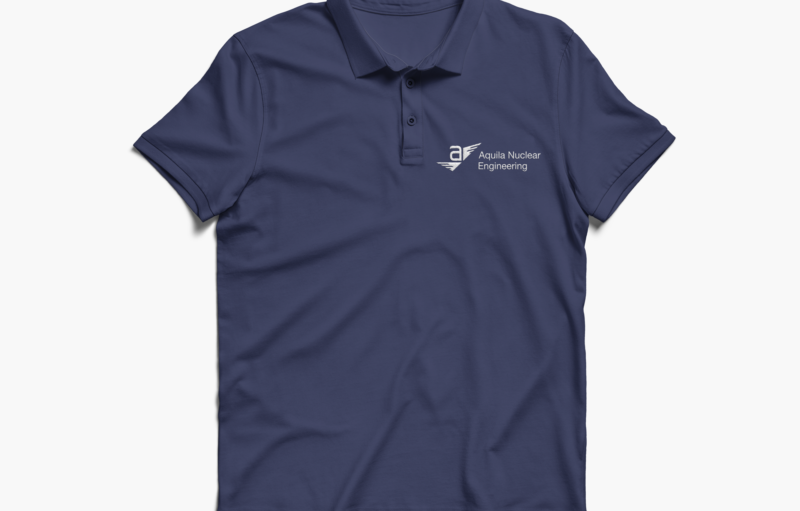 #InTheStudioThisWeek We’ve seen the arrival of some branded clothing and merchandise for Aquila Nuclear Engineering, including hard hats, polo shirts, and note pads. Aquila is a real advocate for brand awareness and brand consistency. Believing a strong push on marketing helps promote their company, skills, expertise and personality – we agree! These items help Aquila’s employees arrive at client locations looking professional, clean and on-brand to portray the kind of business they represent. Arriving in branded personal protective equipment (PPE) and clothing, helps to achieve this. To top it off, all notes from each meeting, can be recorded in their branded workbooks, which could also be left behind or given out as promotional client gifts. Now, we think that’s spot-on for a Nuclear Engineering company. The Glow Studio has worked with Aquila Nuclear Engineering Ltd, part of the Calder Group, the £178m pan-European engineering group since they formed in 2011. The Aquila logo still remains a striking and modern brand, which really helps to create a distinctive style. This is a prime example of how clever branding can help elevate your company and help you to stand out from competitors. 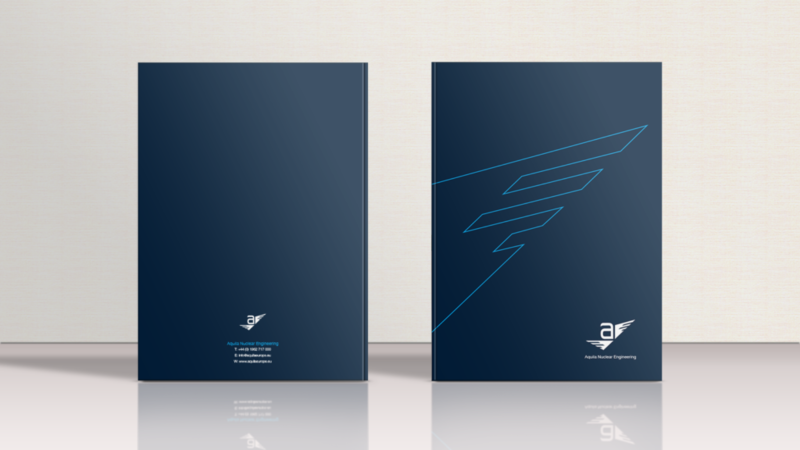 The Aquila logo and brand were created by The Glow Studio to represent the characteristics of an eagle (Aquila is latin for eagle). We love a branded product and merchandise – it really helps to create strong brand awareness and helps to advertise the company. Although, we have yet to commit to a Glow-branded uniform – hot pink polo shirts anyone?